Until cannabis is rescheduled and scientific studies are conducted, it’s likely women will not have answers when it comes to pregnancy and cannabis use. 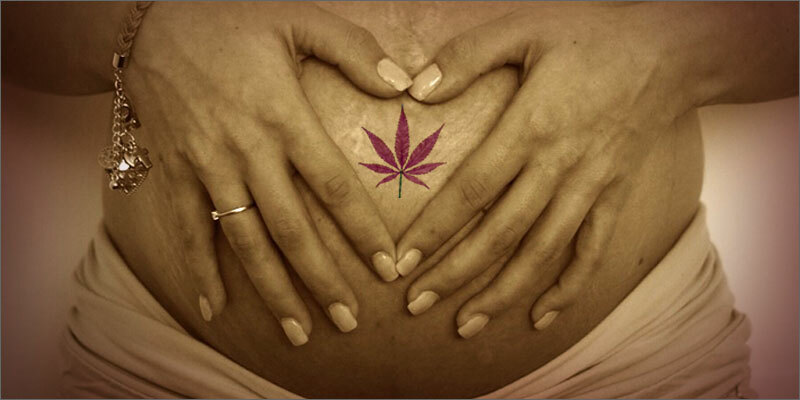 A new study released last week shows that cannabis use is rising among pregnant women. While the rise hardly compared to other areas of increased cannabis use, the new figures have some medical professionals worried. Even in states with legal medical cannabis policies, none suggest use during pregnancy or nursing women. While many of the participants in the study are self-medicating, officials think it’s important for doctors to intervene if use is detected and warn against the possible side effects. Any woman who has experienced the joys of pregnancy understands that the process is not always joyful. Nausea, insomnia and food aversion are all side effects of growing a healthy baby. Many women have turned to cannabis to help ease these symptoms. Even in ancient times, it has been documented that many cultures used cannabis to help alleviate the stresses of pregnancy. However, doctors are warning expectant mothers to halt use because it can result in low birth weight and other complications as the baby grows. The Journal of the American Medical Association recently released a study on annual drug use among expectant mothers. While the results were self-reported, it showed an increased use to 4% in 2014, up from the 2.4% reported in 2002. While a lot has changed in the way of cannabis legalization over the 12-year gap, the rise could easily be attributed to an increased awareness of the safety of cannabis use. Despite the reasoning, Dr. Nora Volkow, director of the National Institute on Drug Abuse, believes the increased use is enough to raise concerns about the practices of pregnant women using cannabis to help ease symptoms. She urges doctors to screen their patients and suggests early intervention of use is the safest way to ensure healthy pregnancies. Due to cannabis still being listed as a Schedule 1 drug, there have been few studies conducted on the actual outcome of babies who are exposed to cannabis use while in the womb. Internationally, studies that track children whose mothers used cannabis while carrying them, showed little effect on the child overall. According to Dr. Volkow, cannabis use can result in low birth weight, anemia and memory and attention problems as they grow. While none of these claims are able to be justified, and doctors are not even sure how cannabis use could cause low birth weight or the other issues, when it comes to expectant mothers, many doctors take a “safe rather than sorry” approach to situations. In all 29 states and Washington D.C., where cannabis is legal, the state laws do not specifically list anything for or against the use of medical cannabis by pregnant women. Because there is so little information surrounding the issue, these states do not even carry warnings or deterring statements against the use while patients are pregnant. Until cannabis is rescheduled and scientific studies are conducted, it’s likely women will not have answers when it comes to the possible outcomes of using cannabis while pregnant.